Durham police have made an arrest after a man was found dead in the 3000 block of Guess Road Sunday morning. DURHAM, N.C. (WTVD) -- Durham police have made an arrest after a man was found dead in the 3000 block of Guess Road Sunday morning. 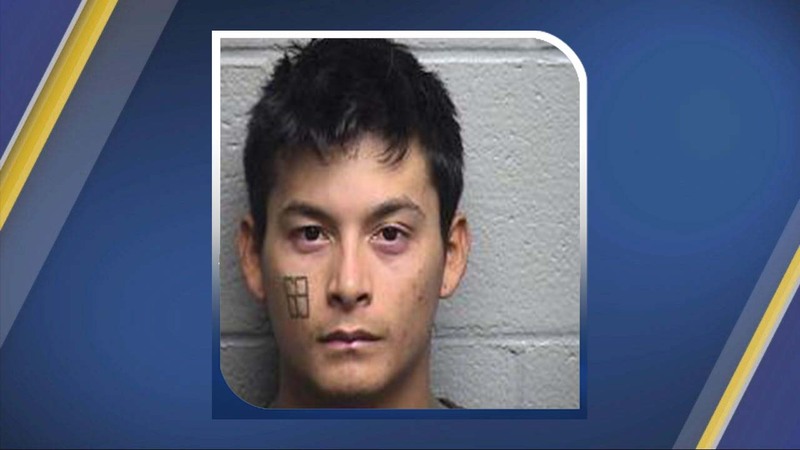 Authorities said 22-year-old Manuel Mejia-Mendoza was arrested in connection with the murder of Abel Corroles, 31. It happened shortly before 5 a.m.
Officers found a man lying outside with a gunshot wound. He was pronounced dead at the scene. Sunday's shooting was one of several in Durham during the weekend. On Saturday afternoon, a 23-year-old man and 55-year-old woman were shot on Liberty Street. Hours later, four people were shot at a Durham apartment complex. Anyone with information about Sunday's shooting is asked to call Investigator Cramer at (919) 560-4440, ext. 29284 or CrimeStoppers at (919) 683-1200. CrimeStoppers pays cash rewards for information leading to arrests in felony cases and callers never have to identify themselves.